The Financial Transactions Tax (FTT), proposed by the Commission in September, will cause additional division of Europe. 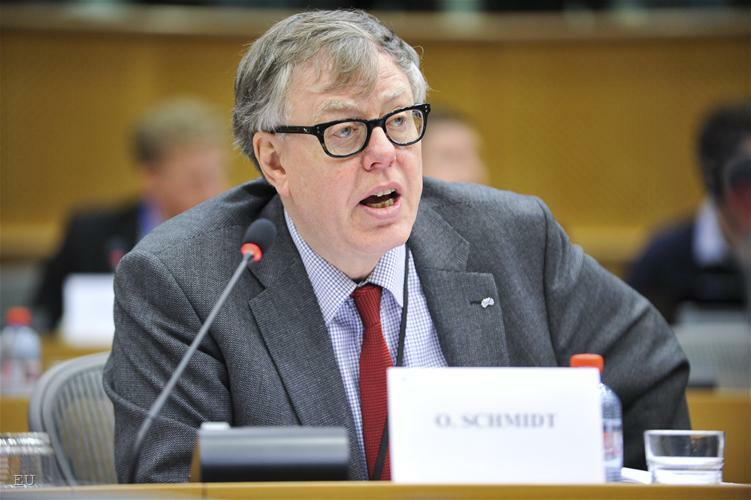 This was one of the fears, expressed by Olle Schmidt, MEP (ALDE, Sweden) during the first for 2012 meeting of the Committee for Economic and Monetary Affairs. Out of 3 points on the agenda (FTT, the common consolidated base for corporate taxation in the EU and the Commission's proposals from November 23rd for strengthened budgetary discipline in the eurozone), discussing only the first topic - FTT - took almost three hours, as the opinions varied in the two extremes - from firmly "yes" to firmly "no". This was the first discussion of the Commission's proposal in Parliament. 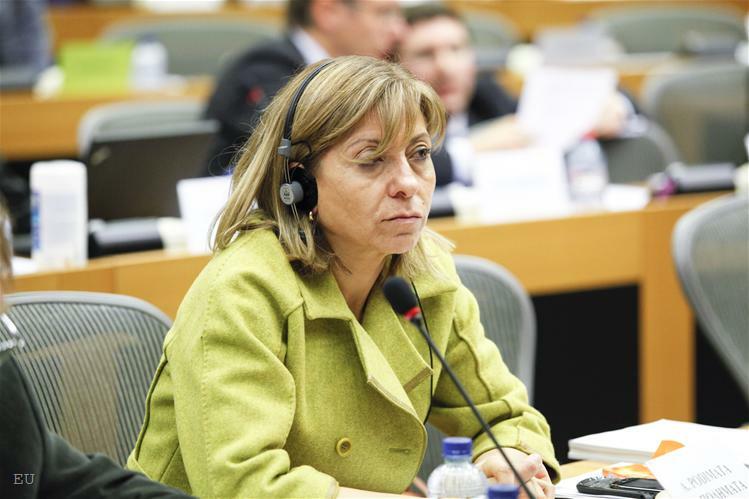 It is expected the report of Greek MEP Anni Podimata (S&D) to be voted in the committee on April 4 to allow the document to be then discussed in a plenary. 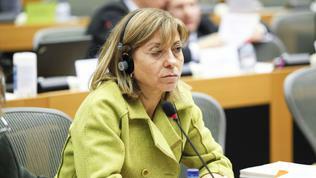 The division on the matter is not from yesterday and not only among the MEPs from the influential economic committee. This division appeared yet on the first debate on the proposal in November in the finance ministers Council (Ecofin), and the division line turned into a precipice during the December European Council, when precisely taxing the financial sector and increased regulation forced British PM David Cameron to block the planned EU treaties amendments, which led to the creation of a fiscal compact, that will be one of the leading topics in the first half of 2012. Anni Podimata, when presenting the proposal, said that in fact it would be very important what the outcome of the meeting between German Chancellor Angela Merkel and French President Nicolas Sarkozy would be, which took place in the first day of the first working week for the EU - Monday, January 9 and the FTT topic was among the discussed by the two leaders. In her words, though, the tax would be pointless unless introduced in all 27 EU member states. Britain already announced it was firmly against, unless the tax is introduced globally, for fears that the European financial sector would lose competitiveness and that there might be a mass exodus from Europe. Bulgaria is among the countries that are also against this tax with the same arguments, in spite of the rudimentary stage of the Bulgarian financial sector. But, during an euinside discussion Svetlin Tanchev, MP from the European Affairs Committee, explained that the Bulgarian position was based on the perspective the country to develop its financial sector. According to the rapporteur, the Commission's proposal is realistic and feasible, it does not create a real threat for reallocation of trade outside the EU and loss of competitiveness of the financial sector is not expected. Many of the members of the committee who spoke, because of which the discussion of this point on the agenda took almost two hours over the planned time, said that if the tax was to be introduced that would be better to happen all over the EU, because otherwise there would be internal competition and tensions, separately from the danger of an exodus to third countries. This is why the question of Swedish MEP Olle Schmidt was very reasonable - what is the minimum number of member states to introduce the FTT in order to avoid total failure and harm for the economy. 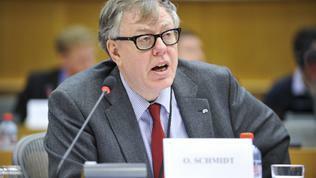 In response, the chairman of the meeting, German MEP and liberal Wolf Klinz (ALDE) said that it would be better if the FTT were to be introduced in all 27 member states, but if that would prove impossible then it had to be introduced by the eurozone members with a perspective the rest to join after an assessment of the euro area experience. 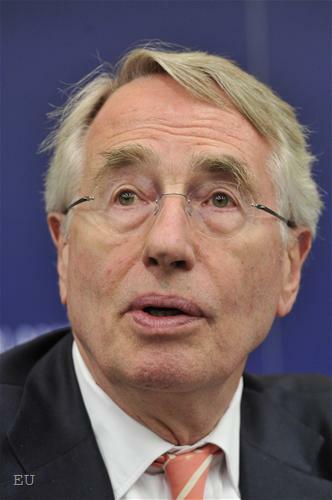 A representative of the European Commission however, said that the proposal was directed toward all member states and if that proved to be impossible than an individual approach should be taken, as is currently the case with countries like Britain and Sweden. Another question that was frequently raised by the MEPs in the committee was whether instead of punishing the financial sector for the financial crisis the proposal did not punish in fact the end consumer, over whom all the costs would be transferred. In general, there was a clear belief that the financial burden would be transferred onto the consumer and that that was one of the biggest flaws of the proposal, but there were also voices that in the end of the day the consumer financed the banks with their own money and thus turned into a player. This is why the appreciation of services for consumers should not be a fundamental problem. But it would be better to distinguish the subjects for taxation with FTT, by avoiding those from the real economy - small and medium enterprises. In other words, those who have a productive contribution should not be taxed with such a tax. The common conclusion was that in the end of the day the end consumer always bore the burden of every tax. 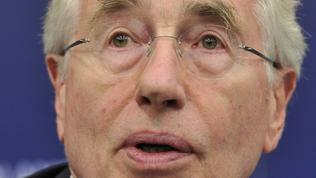 A big fear was expressed during the debate that this might increase tax evasion. According to the shadow rapporteur on the subject, from the always opportunistic political group of the European Conservatives and Reformists, FTT will not only not contribute to limit tax evasion but it will facilitate that. This is why he called for a cautious approach. 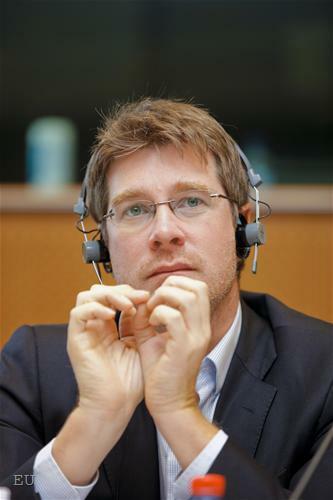 Pascal Canfin from the Greens said that the technical parameters had to be considered not to argue ideologically on whether the proposal made sense or not. This was in response to the statement of Finnish MEP Sirpa Pietkainen on behalf of EPP that, although this tax was agreed on a G20 level, it was unrealistic to expect that it would be introduced globally any time soon. This is why, she said, it is necessary someone to make the first step. 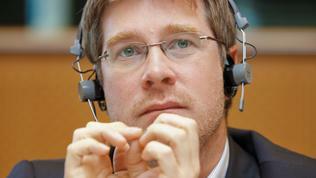 In a similar spirit spoke another representative of the Greens, well known to you from euinside Sven Giegold (Germany). In his words, the world would not end if national states introduced any kind of a financial tax, as it was in Britain, because a variety of this tax already existed. 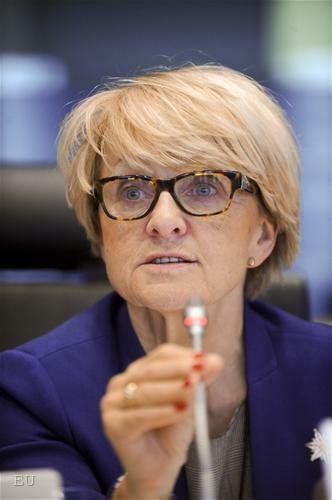 Another participant in euinside's discussions on the EU economic governance, former EU commissioner for regional policy Danuta Hubner (EPP, Poland), expressed, though, doubts. She said that she belonged to those who believe that tax reforms should not be decided in a political process. They require deep reflection and analysis of the long term impact, especially in terms of growth and employment. According to her, if the aim indeed was taxing the financial sector, then alternatives had also to be considered. "Why not discussing VAT exemptions or broadening of the general VAT? ", she asked. Precisely in this context was discussed, although in brief, another idea of the European Commission, related to this tax - FTT to be used as an own source of revenues for the common budget. An idea that does also not have big support among a number of countries, most of all Britain. According to the European Commission representative, though, FTT can serve as own resource only if it is applied in all member states. FTT is part of the idea of the Commission to increase the own resources share in the European budget, laid out in the proposal for the Multiannual Financial Framework 2014-2020. According to the executive, the expected revenues from FTT are around 57bn euros, and using part of them for the European budget would lead to reducing the member states' contributions. In the Commission proposal to tax financial transactions it is pointed out that the tax would cover around 85% of the deals between financial institutions (banks, investment firms, insurance companies, stock exchange brokers, pension funds, hedge funds, etc). 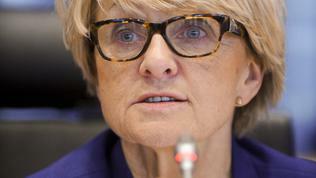 The Commission proposes a minimum tax rate for trading of bonds and shares of 0.1%, and 0.01% for derivative products. This difference caused furious reactions by some members of the economic committee of the European Parliament, because derivatives, they said, in general were more speculative than bonds. There was also an opinion that the introduction of the tax was in practise a shot in the foot and also that it would turn the eurozone into a stagnation zone. A public hearing on the matter will take place in Parliament on February 6, the report will be presented on February 28 and by 7 of March amendments can be made. Voting in the committee is planned for April 4.